DC to DC converter/regulator MC34063A. Has an input range of 3V to 40V, output switch current of up to 1.5 amp. Step up, step down and invert capability. 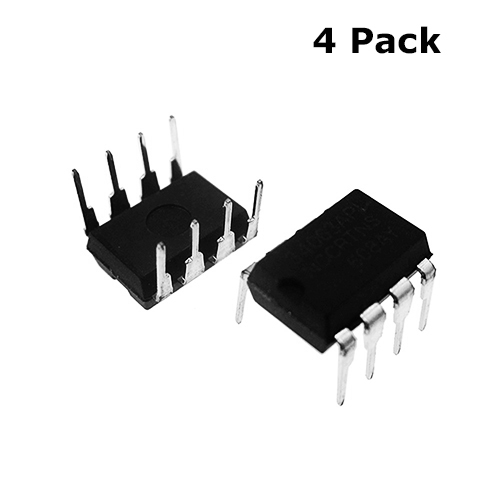 555 Timer IC The 555 timer IC is an integrated circuit (chip) used in a variety of timer, pulse generation, and oscillator applications. The 555 can be used to provide time delays, as an oscillator..
1N4148 Diode (50 Pack) This is a very common signal diode - 1N4148. Use this for signals up to 200mA of current. 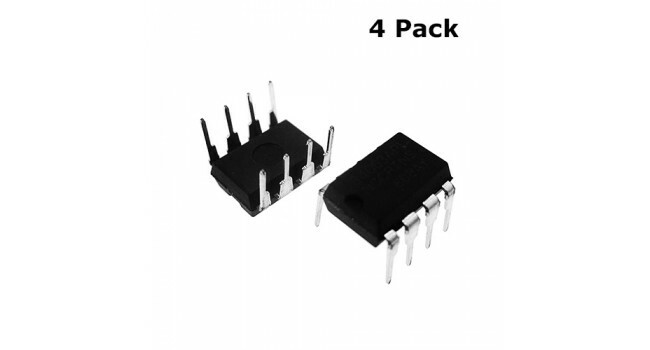 Resources Datasheet Shipping List 50 X 1N4148 Diode ..
Atmel ATtiny85V DIP (2 Pack) The ATtiny85 is a low-power CMOS 8-bit microcontroller based on the AVR enhanced RISC architecture. By executing powerful instructions in a single clock cycle, the ATti..
General purpose stranded wire 80m General purpose Stranded wire 26AWG. Quick Specs Type: General purpose Stranded wire Core Size: 26AWG (0.14 mm2) Colours: Black, Red, Yellow, ..